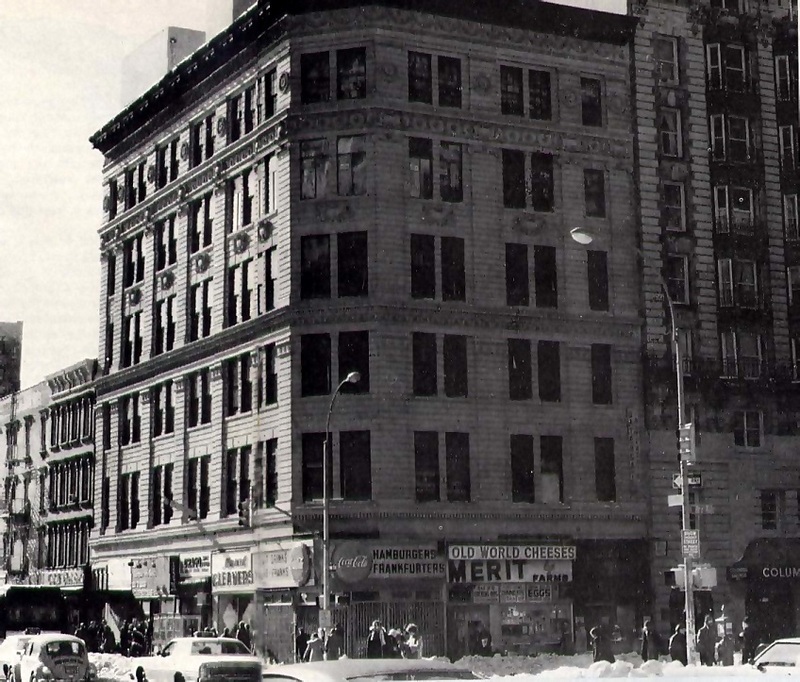 In the cold winter months of January and February of 1966, Srila Prabhupada lived in a rear windowless room at Dr. Ramamurti Mishra's yoga studio on the fifth floor of the above building in the Upper West Side of Manhattan. Every day Srila Prabhupada had to walk several blocks to Dr. Mishra's residence to bathe and cook his meals. The following excerpts from Prabhupada's diary clearly demonstrate the extent of his struggles during the early days when he had little money or support. But Srila Prabhupada was determined to fulfill the order of his spiritual master to preach Krishna consciousness in the English speaking world despite all inconveniences. Today Mr. Banerji did not come Cohen and Salak came. Todays meeting was attended by greater number of members than other days. The liked the Introduction record very much. Some of them brought fruits for me and Mrs. Leblanc paid $3.00. A great inconvenience was caused today by oozing out of dirty water from the sink. It spoiled all the mattresses on the floor. the Supdt was informed but he could not help. He said he would report the matter in the office. International Institute of God Consciousness*. Today signed by the floating members. One young man came from Down Town Mr. Robert*. The Samkirtan record was played. He liked it. The whole day and night remained at Ananda Ashram. Kirtan demonstration was given Dr. Mishra appreciated it very much. Next morning also invited. Today in the morning I went to see Mr. L. L. Mehotra in connection with renewal of Passport after June 1966. The application with letter of forwarding submitted. Extention up to 30th June 1966 already allowed. It is referred to New Delhi and by confirmation from there the Passport will be renewed at least for one year more. Yolanda* gave me a calendar. According to Mayapur Panjika* today is Adhivas day of Gour Purnima. Devotees at Vrindaban and Nabadwipa are enjoying the celebration. I am here alone without any devotee companion. But I have come here to serve the Lord and not for personal happiness. I am prepared to live in hell even if I am able to serve the Lord. Sri Chaitanya Mahaprabhu wanted that His mission should be propagated all over the world and that is my objective. I do not mind the inconvenience personally felt.